“Never let anybody take your dreams away from you,” says star of Dr. Cabbie Vinay Virmani, on Monday evening, as he stands in front of a jam-packed theatre during the premiere of at the AMC Forum. His words, simple and true, form the solid ground on which his film stands tall. Dr. Cabbie tells the story of young Deepak Veer Chopra (Vinay Vermani), a freshly graduated medical student from India who moves to Canada to become a doctor. But his immigrant background barricades him from such a prospect and he ends up a cabbie in the city of Toronto. Mercilessly shoved out of his medical profession, but still full of ambition and care, Deepak gains a reputation by transforming his cab into a clinic-on-wheels. This is a movie about a young man who embarks on journey to find his place in the world and who forges his own path, even when all the odds are set against him. Full of lighthearted moments, laugh-out-loud humor, and Bollywood choreographies, Dr. Cabbie is minute after minute of fun. The characters are a lovable, memorable bunch, full of different personas that go from the kind and determined Deepak, to the sweet, but fierce Natalie (Adrianne Palicki), and to the absolutely hilarious Tony (Kunal Nayyar). The beauty of this film lies not only in the fantastic performance of the actors and the brilliance of the script, but also in the quality of the camera work, which depicts phenomenal images of colorful India and busy Toronto. And lest we forget the movie soundtrack, which is a delight to the ear. With a mix of Indian traditional music and modern hip-hop beats, it is nearly impossible to sit still. Dr. Cabbie will not only lighten your heart, but it will also open your eyes on the important issues in Canada such as the integrity of professional immigrants as well as the major shortage of doctors. Dr Cabbie Premiere. Photo Sarah Haidar. Vinay Virmani, writer, actor and producer, talks more in depth about the film. Sarah Haidar (SH): What makes Dr. Cabbie so unique? Vinay Virmani (VV): It’s the fact that it is a story that affects us all. It’s about the immigrant struggle, it’s about the professional immigrant struggle, and I know that we all celebrate that here. We celebrate our differences, we celebrate our diversity, but I think it’s important to shed light on the problems that immigrants face sometimes, especially professional immigrants. I think that’s what makes us special. I think that what also makes us special is the fact that we have such an international cast coming together, to tell a film that’s Canadian at heart. Jean-Francois Pouliot, makes it special. It’s just a wonderful experience. We just want to entertain people, that’s it. What we want to do is make people laugh. SH: But you also want to open our eyes on the bigger issues professional immigrants must face in the real world, such as the difficulties of finding a job in the medical field. VV: That’s a big problem. Canada today has a doctor shortage. We have millions of people who can’t find a family doctor, and yet we have international medical graduates that are pushed to the side. So the film does have something important to say, and I hope we can do that through comedy. SH: How would you describe your experience? VV: I had a lot of fun. I mean this movie is very special to me because I was one of the original writers on the film. I started the film. I’m one of the producers of the film so I’ve had to wear many hats but I’ve enjoyed every bit of it. Working with a great cast and crew, with a director who’s a true leader… it makes it all easier. 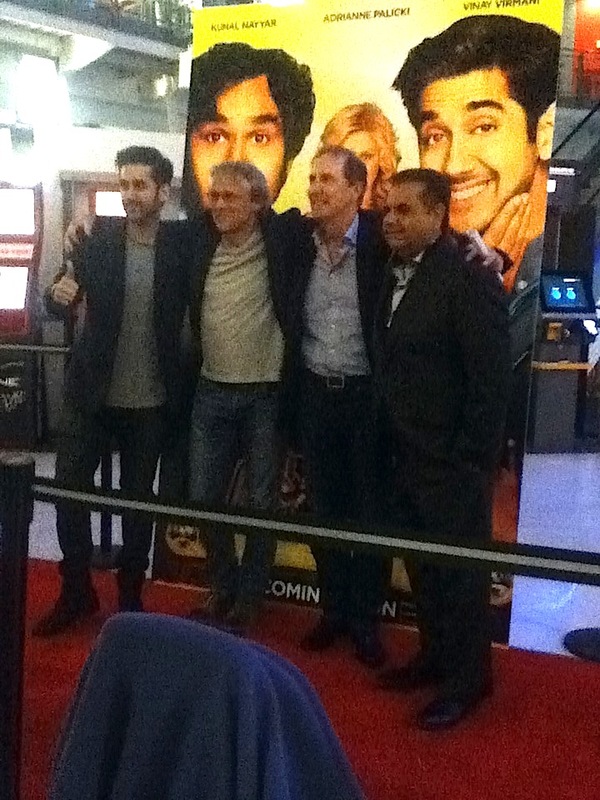 Dr. Cabbie is in theatres now.